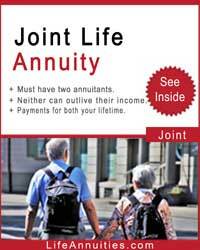 For those of you that think that old age pensions will meet your retirement needs, think again. 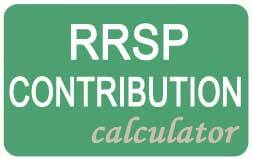 Given the massive debt, the current benefits being paid out to retirees may not be sustainable. 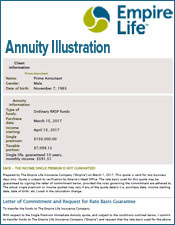 Retirees should convert at least half if not all of their retirement savings into a lifetime income annuity that pays out for as long as you live. 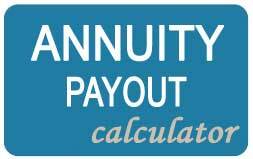 Nothing replaces guarantees in a volatile world! 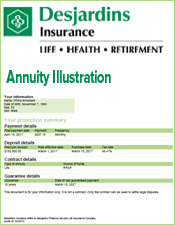 The United States Government Accountability Office recently released a report on retirement income which also applies to Canada. 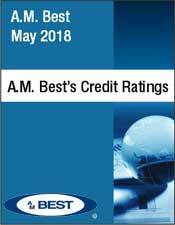 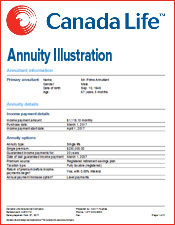 The Report began by stating the obvious: “The risk that retirees will outlive their assets is a growing challenge.” For consumers facing at-risk pension plans, increased life expectancies and highly volatile financial markets,“ growing challenge” seems like a major understatement. 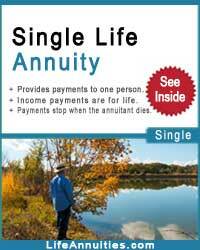 Indeed, a husband and wife who are both 65 years old, have roughly a 47 percent chance that at least one of them will live until 90. 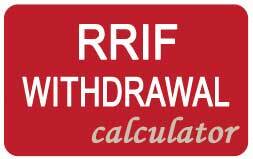 Roughly half of near-retirees today are likely to run out of money and not be able to cover their basic expenses later in life. 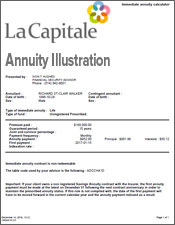 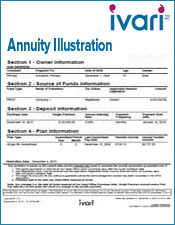 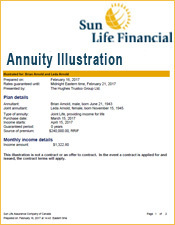 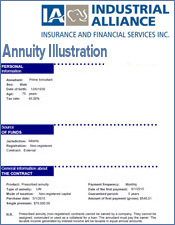 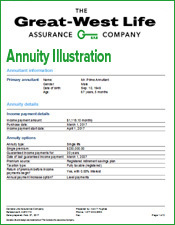 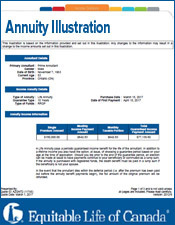 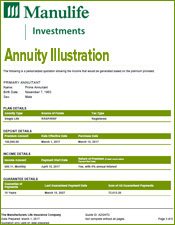 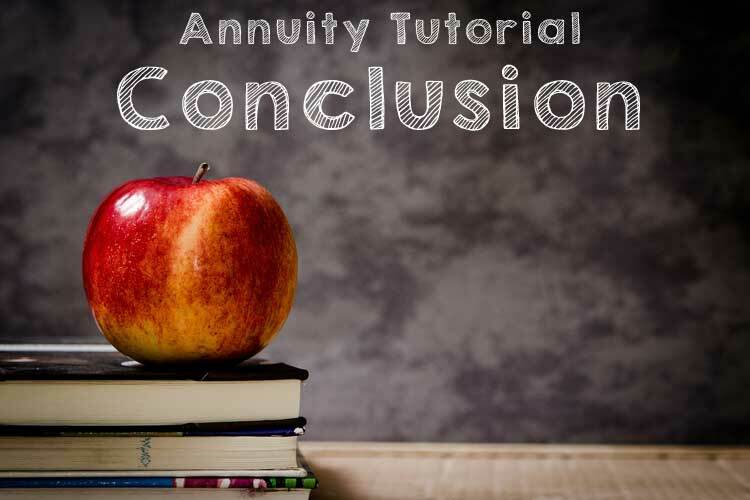 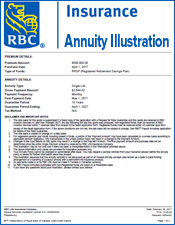 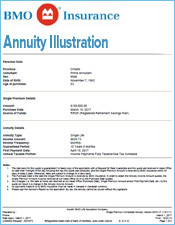 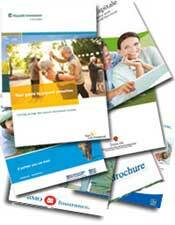 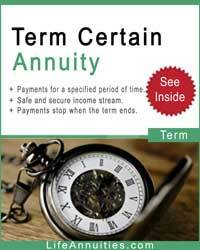 Back to Introduction: What is an annuity?